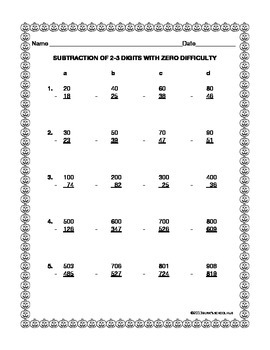 Subtraction with zeros is confusing to some students. 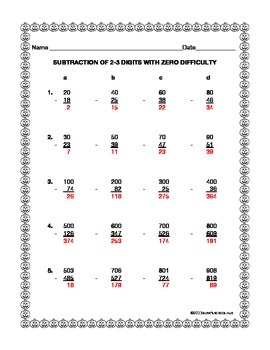 I have prepared this worksheet to serve as a tool in assessing your students skill on subtraction of 2-3 digits with zero difficulty. Thanks for visiting my store. I would appreciate if you could leave a feedback. Thank you!